How would I go about finding exploits? How many kinds of exploits are there? And most of all, how would I go about finding them? How would I provide them to the community if I find one (or two)? Those are great and all, but honestly, before jumping into anything specific you need understand the concepts of a computer system. It’s not “essential” but in the long run you’ll benefit greater from it. That way, you will not learn how to exploit but you’ll learn how a processor handles certain situations or performs in certain manner which can reveal design flaws. For example, studying computer architecture will help you understand pipelining and why it can hinder important patches to a system, same with cache lines when they become “dirty”. The list goes on to parallelism, to exception handling, to memory management and even to a generic boot-process. This knowledge, is the key to exploiting IMO. A lot of people use wololo’s excellent resource for finding exploits in games, HOWEVER, most of them only blindly follow a tutorial not understanding ANYTHING about the behind operation and of course, they only look for the type of exploit they are shown. To learn to find exploits in the kernel, you need to understand C/C++-programming. you don’t need to understand C/C++ to find exploits in the kernel. finding exploits in C code is often more of a challenge than finding them in assembly. Personally, I strongly discourage anyone to give to much information on finding them, because you should have a look at what happened when such a thing was provided for user exploits. They’re being wasted like candy by people with no programming experience, and no good will come from it. 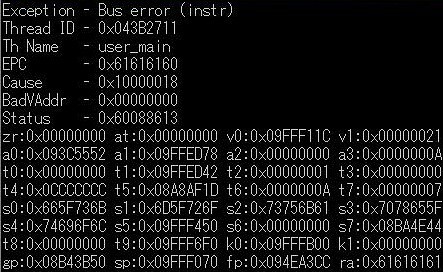 If you really have experience with reversing and programming for the PSP, you should be able to figure out how to do kernel exploitation, just like everyone I know (myself included) has. If you find a kernel exploit, make sure you’re able to work it out to something like a HEN personally before publishing information on it, rather than throwing it out for fame and see nothing be done with it. Sony has gone mad fixing those and I highly doubt there are any left. The only way you’ll find an exploit is actually reading the code and interpreting exactly what it’s doing, then seeing if you can get it to do what you want by feeding it certain arguments. I haven’t seen any kernel exploit going to waste, and I’ve seen user mode exploits going to waste, but not for the reasons you mention. For example, the Gripshift exploit was wasted, despite being introduced by a known hacker, and because of some drama involving two other experienced developers. As far as I’m concerned, I pride myself to believe that my articles on how to find user exploits and how to write hello worlds have dramatically increased the number of (undisclosed) user exploits and the number of people who now have the knowledge to “go to the next level”, therefore helping the scene to be lively. Wasting an exploit does not depend on people’s programming experience, but on their on their personality, which are two different things. Finally, the spirit of hacking is in sharing knowledge so that everyone can get better.I definitely agree that revealing an exploit before something useful is made out of it, is definitely not a good thing. Additionally, game exploits were considered as “gold” not so long ago, even when they only included a hello world. It’s the PSP Go that changed the rules, not “noobs” getting access to more knowledge. About “wasting” exploits – it sometimes seems to me that when someone releases a game exploit, usually to try and contribute something good to the scene, they get labeled “the person who wasted another game exploit”.This would have happened again without HBL. So you’re all proposing a live and let live scenario for people who spam gamesaves with “AAAAA” get a crash then are unwilling/unable to learn more about it because they simply want the fame of “finding an exploit”. Fuuun Shinsengumi Bakumatsu, Hydrium and Pursuit Force don’t count as they were never released. Mercury, Mercury 2 and Gripshift don’t count. That leaves 6 that count, of which only 2 were put to good use (Tiff exploit – HEN, Patapon 2 exploit – eLoader). Just do the math, 2/3rd of the exploits are getting wasted. Even if you don’t count the sequals that were fixed, it leaves you at half of the exploits released being wasted. How that benefits the scene is above me. I’m well aware that the threshold for finding kernel exploits is a bar higher than finding user exploits, but only to the extent that you need to know basic computer architecture. If you’re a PC programmer you may be able to find a kernel exploit, but you won’t be able to write something as a HEN. As more and more devs are dropping out of the “scene”, there NEEDS to be information available for others to access. People need to stop saying an exploit is wasted when its released, and just quickly make something useful for it. Agreed, but not publically! Form a group of developers and keep the information inside until you’re ready to release a full-fledged homebrew enabler. It will benefit the scene so much more. There have been 2 exploits released for the same firmware, how does that benefit anyone? Even if you port it to both, one of them will still be wasted. Back in the days of Promotheus (and all it’s members), they could plan the release of each exploit carefully, even if they had them for months, so they were released at an interval of a few firmwares, rather than all at once. I think there was a chance for others to step up and really make that exploit even cooler and really make the most of a perfect user exploit, Example: MaTiAz releases tiff user exploit, Davee a few days later announces he has a kernel exploit and is working on a HEN. That’s the type of “team work” I’m talking about here, and doesn’t happen enough IMO. well in an ideal world, hacker teams would have enough exploit to share some of them. keep one for studies, release the other. I know that’s too optimistic…But honestly, an exploit used only by a couple people for several months… what’s the point of studying a system when all the people who had an interest in it (the users) are gone? I think there’s a concern of “being a lively scene” that we should take into account. I know that Team Typhoon has no reason to trust the end users anymore, so I know where you’re coming from with this. When we released ChickHEN we had at least 5 kernel exploits, but Sony fixed them all by auditing. It’s just to show that one exploit held back for research isn’t enough, as they may just incidentally fix it in the next firmware.